3 Easy Tips to Help You Stay Healthy While Traveling! - GoodGuysBlog.com - New, Technology, Marketing, Health and So on. Home / travel / 3 Easy Tips to Help You Stay Healthy While Traveling! 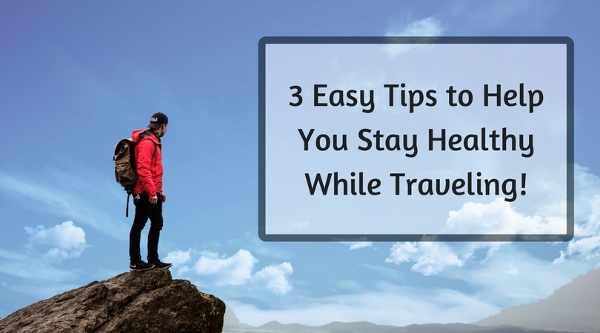 3 Easy Tips to Help You Stay Healthy While Traveling! If you love traveling, but don’t love gaining weight and getting out of shape on your vacation, this article is for you! However, we all hate that feeling when we come home from vacation and our bodies look horrible. There are a lot of ways to stay in shape while traveling, this article will list a few of them for you! Follow these tips, and you will be able to travel without worrying about how much weight you will gain! A fasted walk is simply taking a walk before you eat your first meal of the day. There are many advantages to intermittent fasting and fasted cardio, and they are even more prominent when you are traveling. The reason you should start every morning with a fasted walk while traveling is because it will give you a chance to walk and explore whatever new place you are in, and help your body maintain its physical condition. Fasted cardio is often debated as to whether it helps you burn fat better, but it is clear it does have many advantages for your body overall. One of these main advantages is that it clears dead cells and helps your metabolism increase. If you are on vacation and eating every new food you find, you are probably going to need some help with your metabolism. Fasted cardio can increase your metabolism, improve your digestive system, and leave you feeling energized and free to start your travel day! You can check out Fun Things to Do in Ottawa During the Winter to see a good example of how fasted morning cardio can fit perfectly in to your travel experience! Tip 2: Drink Tea on the Road, Not Coffee! Traveling can be stressful enough, so you don’t need anything else to raise your cortisol levels! Unless you are traveling to a country which makes an incredible specialty coffee, drink green tea or any other caffeinated tea to keep your body running. Drinking tea will not only help you benefit your internal health, but your body as well. Green tea has been proven to be excellent for helping people burn fat and lose weight, which can help you keep pounds away while on the road. Along with this, the caffeine from green tea is a moderate amount, which will keep you moving during the day. Coffee is a very high-stimulant drink, and there is a good chance you will crash after pushing your body on coffee alone. Drinking tea on the road instead of coffee is one of the best choices you can make while traveling! Tip 3: Walk to Enjoy Your Vacation! This tip is like number one, but it still has a different meaning. If you are traveling to a new country or city, walking will help you experience everything as you are supposed to. Taxis and public transportation are great for moving far distances within a city, but you shouldn’t rely on them unless you really need to. The more you walk, the more calories you burn. The more calories you burn, the more you will be able to eat and enjoy new food/drinks without worrying about weight gain! Walking a city gives you a totally unique experience than taking a taxi all-around it, which is why it is an awesome tip for traveling in general. There are tons of great tips to help you stay fit while traveling, these are just a couple which will certainly help you. When you are on vacation, you are going to want to enjoy yourself as much as possible. However, that does not mean you will have to completely sacrifice your health. Use these tips, and you will enjoy your new experiences with good health!